The Studios Paradise is located right by the sea, in a small traditional village Kalamaki. Kalamaki is located on the South Coast of Crete, next to the most famous beaches of the island such as Kommos and Matala. From here you can explore the neighbouring Matala, Pitsidia, Kamilari and the village Sivas. If you prefer the more distant destinations you can visit Agiofarago, Phaistos palace or Historical Gortyn. 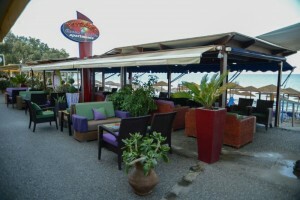 The Studios Paradise is situated 62km from the city of Heraklion and 68km from Nikos Kazantzakis International Airport. Matala with its sandy beach is on 10km from us, Agia Galini at a distance of 20km. The hotel provides car rental services and free public parking on our facilities. The residence is situated in a location away from mass tourism; it is quieter and less crowded then the north side of the island. Located south central on the island makes it easy for you to make daily excursions to Chania or Rethymnon or even Agios Nikolaos, and the return to your quiet accommodation in the evening. You will find all kind of restaurants, bar, shops, souvenirs at walking distance from our accommodation.